One of the most important events in the Philippines is the Independence Day. Observed every June 12, it commemorates the Philippine Declaration of Independence from Spain in June 12, 1898 in Kawit, Cavite. 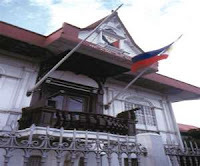 With the public reading of the Act of Declaration of Independence, Filipino revolutionary forces under Gen. Emilio Aguinaldo proclaimed the sovereignty and independence of the Philippines from the colonial rule of Spain. In this year’s celebration, Flag-raising ceremonies and parades were conducted in various historical sites around the country. Pres. Aquino was at the Barasoain Church in Malolos, Vice President Binay at the Quirino Grandstand and Sec. Mar Roxas at the Aguinaldo Shrine in Kawit, Cavite. MRT and LRT also offered free rides from 7 to 9 am and from 5 to 7 pm as part of the celebration of the 114th Independence Day. Different events are also lined up at the Quirino Grandstand in Rizal Park. 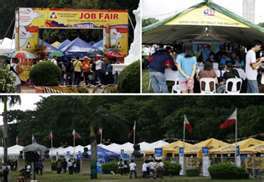 The Department of Labor and Employment conducted job fairs with the theme: Kalayaan: Pananagutan sa Bayan. A total of 23 local employers with 4,534 job vacancies and 13 overseas recruitment agencies with 5,385 job orders participated in the said job fair. Government agencies also set up a one-stop shop where one can request NBI Clearance, Birth Certificate or CENOMAR from NSO and other forms from the BIR. The Philippine National Police also set up a recruitment booth. From morning till midnight, the grandstand will be filled with music, laughter, light and love for the country. There will be cultural dance and kundiman presentations, stage plays, and a concert featuring local artists such as Pupil, Kamikaze, Sandwich, Gloc9, Rico Blanco and many others. The celebration will officially end with fireworks display.